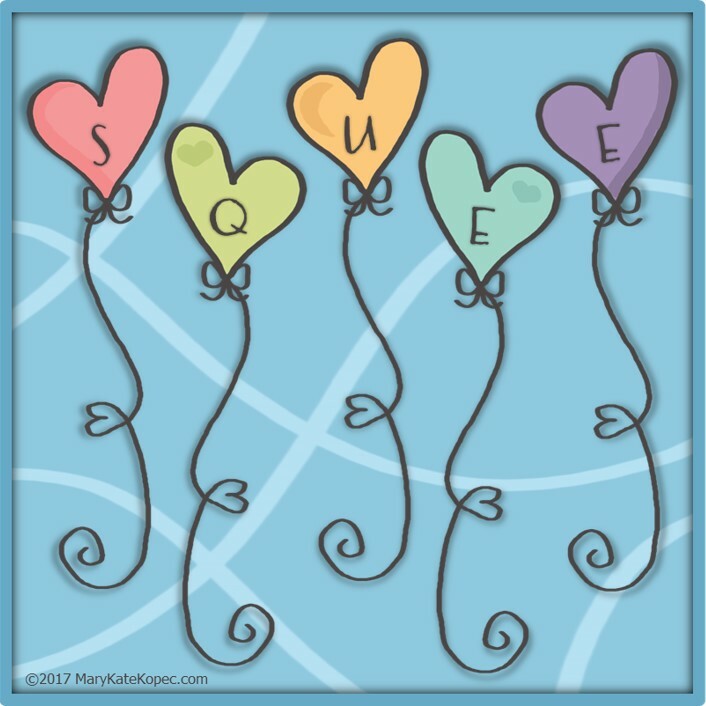 Just in case your SQUEE is lacking a little buoyancy today, I’ve made you some bouncy SQUEE balloons to lift you back up. Just close your eyes, take a deep breath, picture the people you love hugging you tight … and have a SQUEE-day!!! This entry was posted in Mary Kate Kopec, PINK, SQUEE and tagged Mary Kate Kopec, PINK, SQUEE by Mary Kate. Bookmark the permalink.